The club was formed in 1922 under the name Peel Connor and has been known under various guises during its history, such as GPT Coventry, Marconi (Coventry), Coventry Marconi and from 2005, Coventry Copsewood. They mainly competed in local works leagues prior to joining the Midland Combination in 1993. 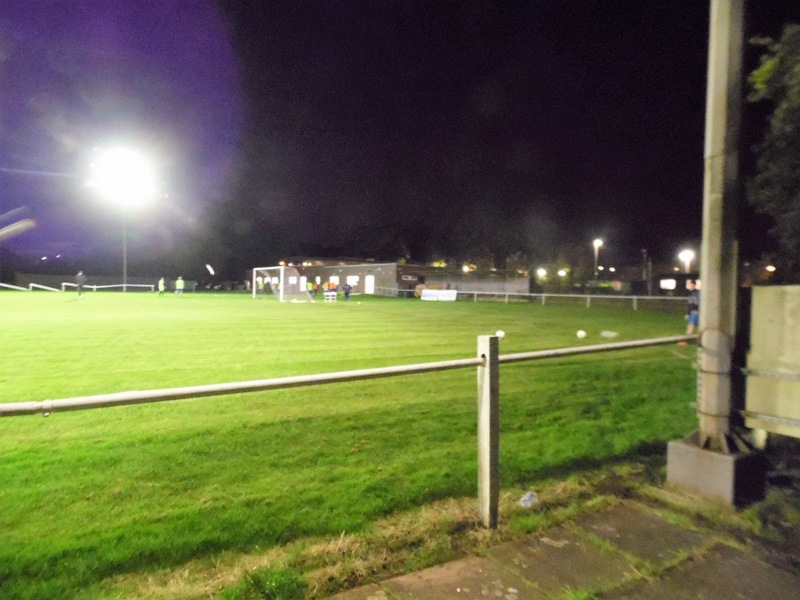 Starting in Division 2, a 5th placed finish in their first season was good enough for promotion. The club would spend 3 seasons in Division 1, earning promotion as champions during the 1996/97 season. 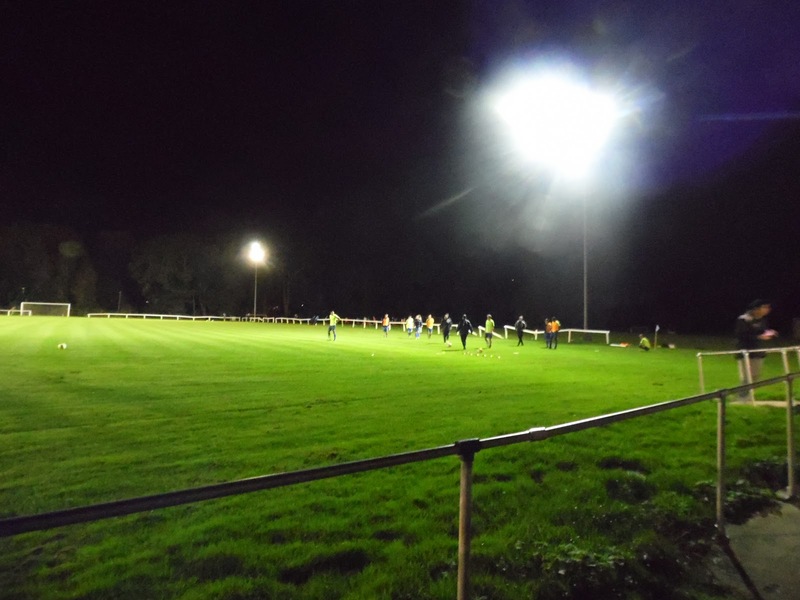 Since then, they've been in the Midland Combination Premier, which has since been absorbed into the Midland League Division 1.Finishes have ranged from 3rd in 2005 and 2012 to 21st in 2008. Last season they finished 12th and before tonight's game, they sat slightly higher in 9th place. 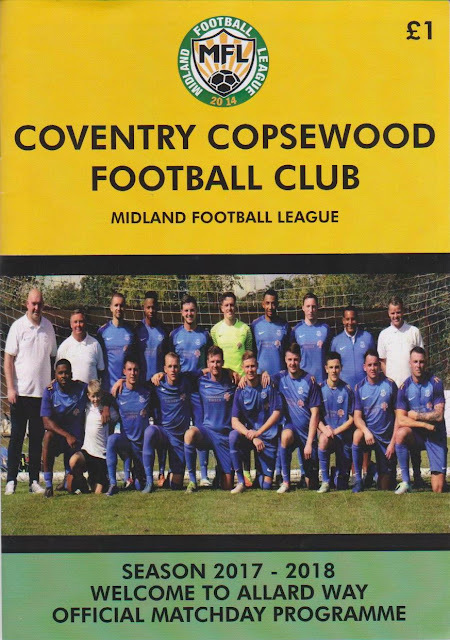 Coventry Copsewood have not yet made their FA Cup bow, although they have been competing in the FA Vase since the start of the new millennium. Their best run came in their second season in the competition, 2001/02. 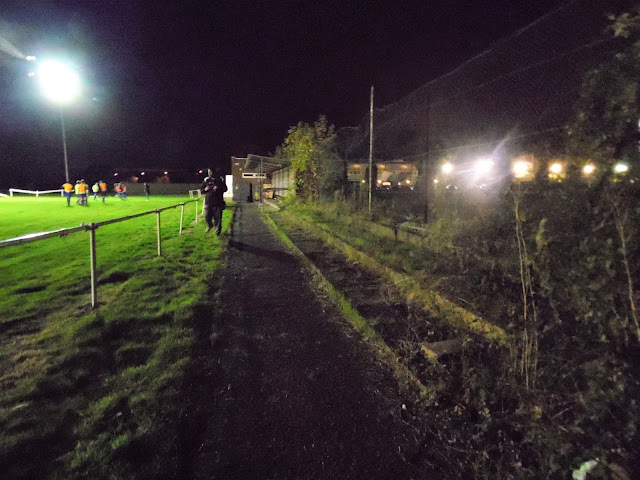 After beating Heath Hayes, Bolehall Swifts and Rothwell Corinthians, they lost narrowly in the 2nd Round to Rushall Olympic with a 2-1 defeat away from home. 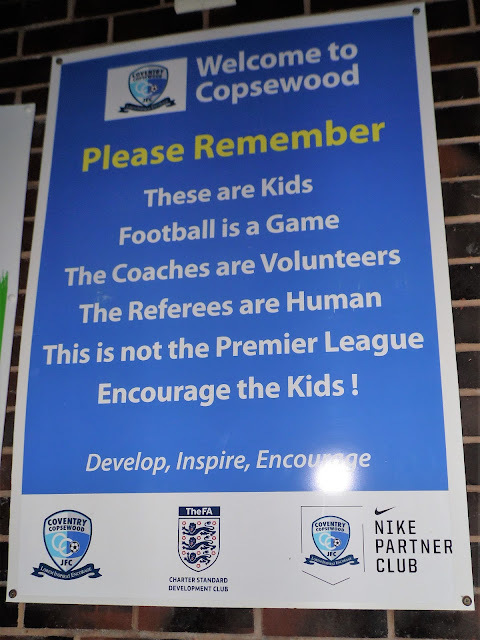 They've seen plenty of local cup success too winning the Coventry Telegraph Cup three times running, the Coventry Charity Cup three times, Birmingham Junior Cup twice and the Terry Alden Cup. After a busy week off work, including a weekend where I did 7 games, I was keen to take it a bit easier this week. I'd looked in the Non-League Paper on Sunday morning and presented fellow hopper Anwar with a list of 16 possible games that we could go to. After letting him mull it over for a bit, we both decided on the local derby between Coventry Copsewood and Coventry Alvis. It was one of the nearest unvisited grounds for both of us and so it was a fairly simple choice. 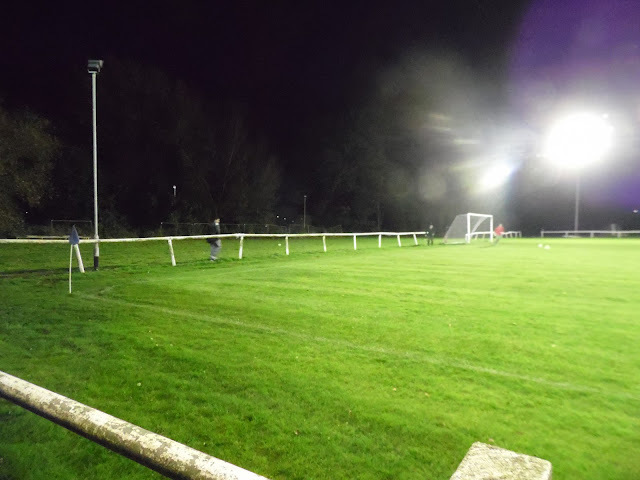 We'd actually tried to visit there back at the end of February, but a late deluge rendered the pitch unplayable, just as we were arriving in Coventry. 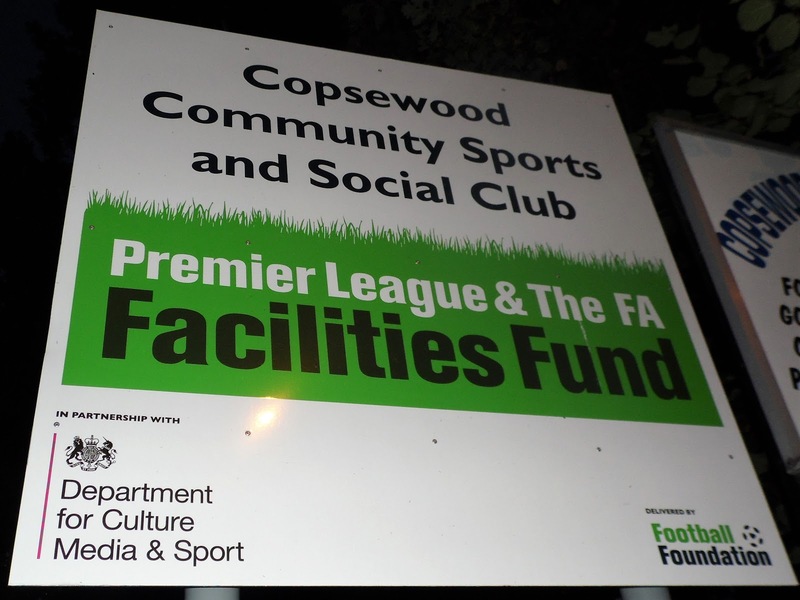 We ended up doing a revisit to Sutton Coldfield that night, as they had the 'safe' option of a 3G pitch. On the day of the game, I woke up at 8.30 after having my best night's sleep in ages. As was customary for my day off, I had a bath and got dressed before walking the 4 miles into town. 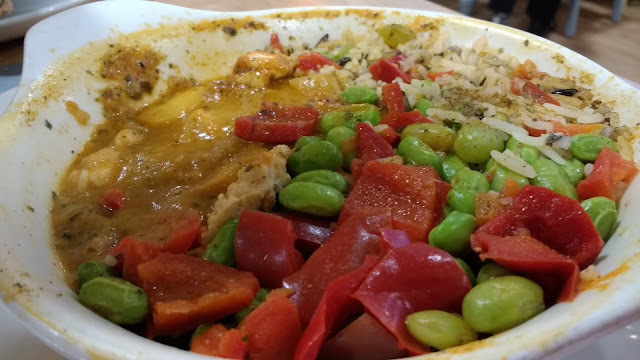 Amongst other things, I bought a chicken Jalfrezi for lunch. Morrisons curries are usually not up to much, but with it being reduced to £1.50 because of 'Indian Week', now was a good time to retry it. It was decent enough, especially when paired with some 70p Mexican rice. After lunch, I started making plans for tonight, including meals. The Morrisons shareholders must be rubbing their hands with glee, as myself and Anwar always enjoy our meals there and there was a store with a cafe a couple of miles from the ground. The rest of the afternoon was spent starting tonight's blog and going to collect my prescription amongst other things, the latter I'd forgotten to do on my way down town earlier. Once I got back, I started looking at next week when I will be staying in Carlisle on Tuesday. It was frustrating trying to find somewhere reasonably priced near Whitchurch Alport on Monday but I was happy to see Crook Town at home on Wednesday, as it was a long-term target. I left at 4, meeting Anwar at 4.30. It was a very good journey up, with us getting to Morrisons at 6. Anwar went for Macaroni Cheese and chips, whilst I went for the healthy option of red Thai curry. We both enjoyed our meals and mine was great value at £4. Anwar got another bargain with two packs of cakes for 9p each and it was still only 6.35 by the time we left. We got to the ground 10 minutes later, getting some pictures of the signs outside the ground before going in the club room where we paid our £5 entry and I got a programme for a quid. 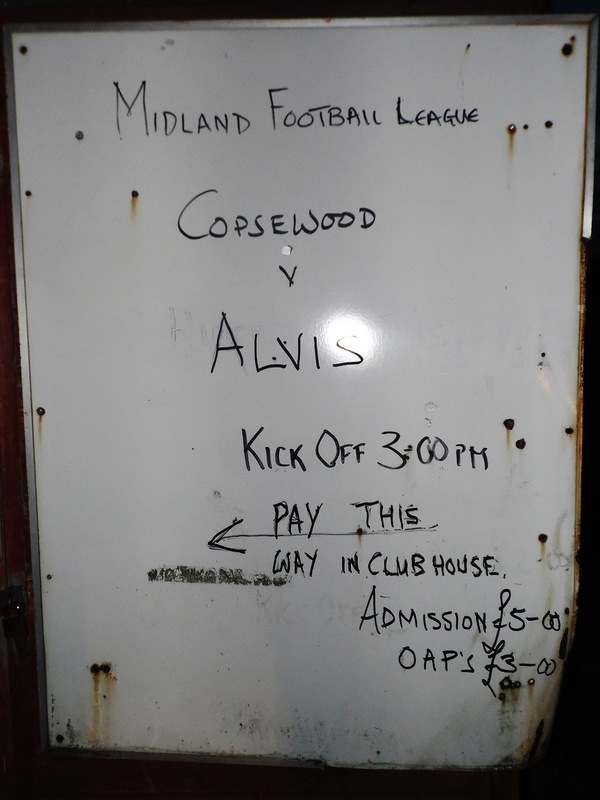 I'd seen tonight's opponents Coventry Alvis last season with fellow hopper Chris last season. Though they were league champions in 2016, they only finished 3rd last year and had struggled to date this season, sitting bottom of the table. We stayed inside until 7.30, which gave me time to do my blog and catch up online. Anwar also shared out his doughnuts, with me having a couple for my pudding. After we'd gone outside, I found myself a position on the halfway line to watch the game. 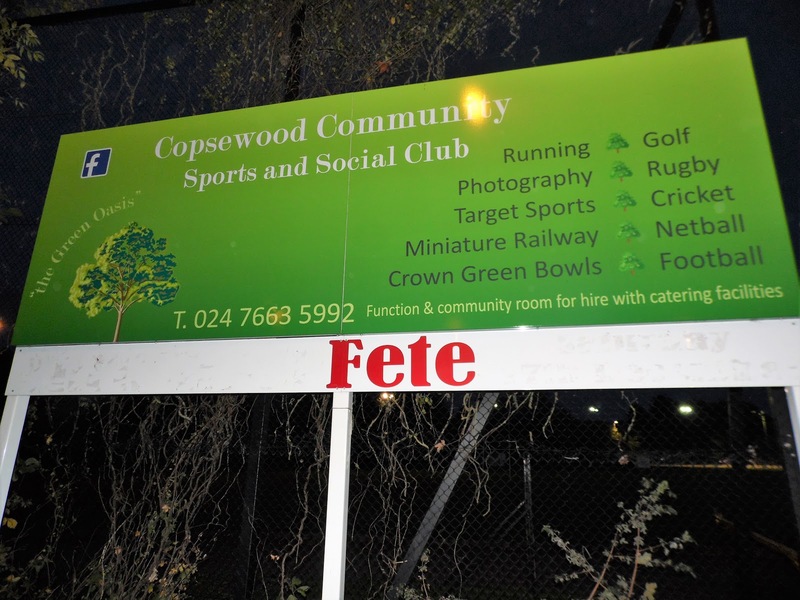 Copsewood dominated from the start and missed a number of gilt-edged chances to take the lead. Their wasteful finishing meant the score was goalless at the break, although Alvis had gradually got better, they were restricted to chances on the break. Copsewood finally took the lead on 50 minutes, a ball was flashed across the six-yard box and Liam Davies was on hand to divert it into the corner. 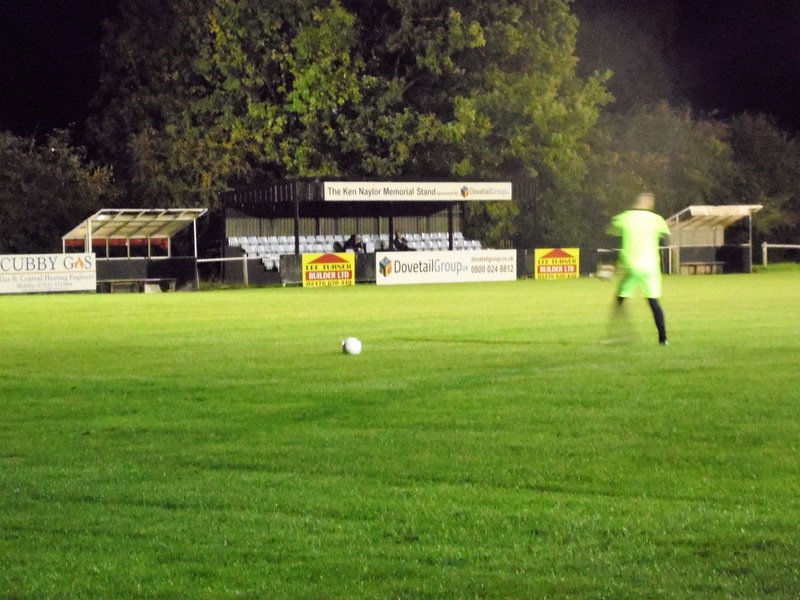 A couple of minutes later, it was 2-0 when a corner was put in from the left and a Matthew Burt headed it home. 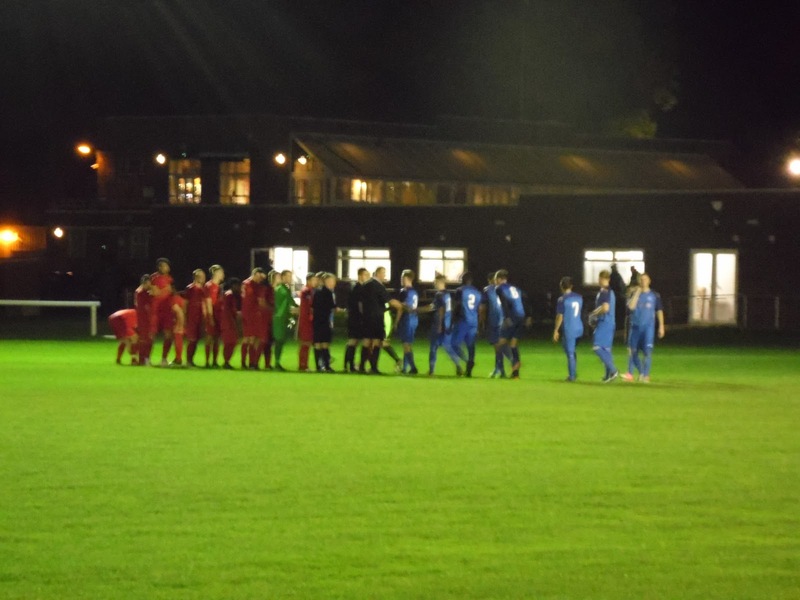 The chances became less frequent after this, although the hosts did hit the bar with around 15 minutes remaining. 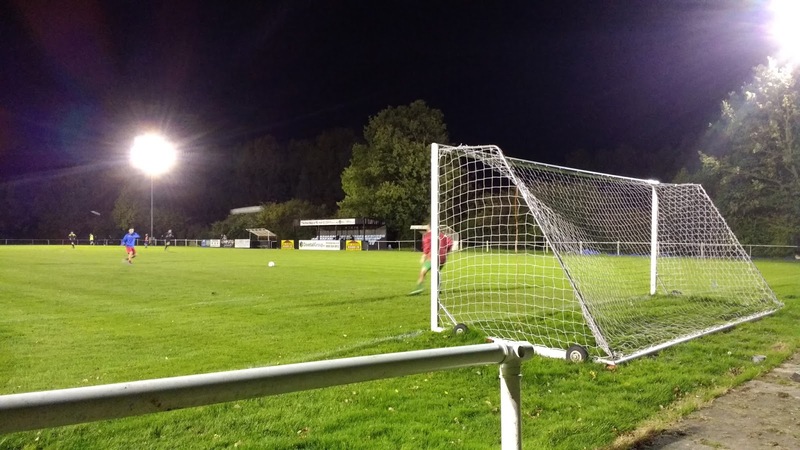 They extended their lead on 77 minutes with a scrappy deflected goal from Burt to put the game beyond all doubt. Even with all the injury time, the game ended around 9.40. It was a good journey home with me dropping Anwar off at 10.55. I got home at 11.15 to find a nice tweet from the club, hoping that I's has a good evening. I went to bed around half an hour later and with me up at 4 for work, I needed a 4-hour nap the following afternoon. Next up for me will be a game on Friday, hopefully, Ely City with Anwar. ALVIS WAY is a decent enough ground for the level. 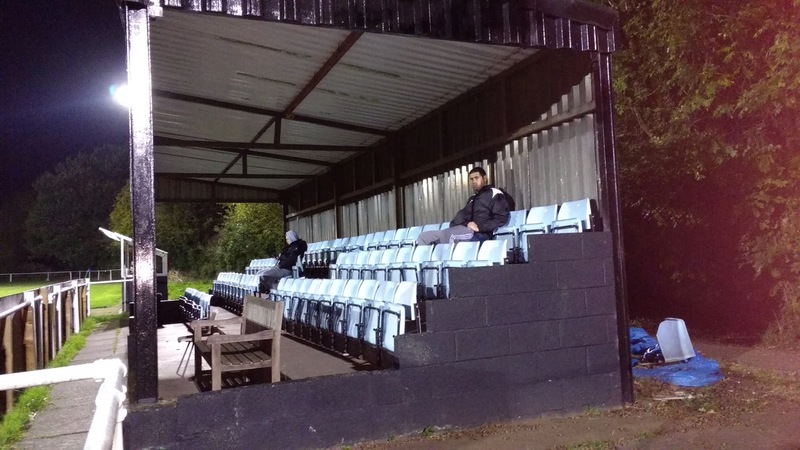 There are two areas of cover, a seated stand of a capacity of 65 and this includes seats from Coventry City's old Highfield Road ground. 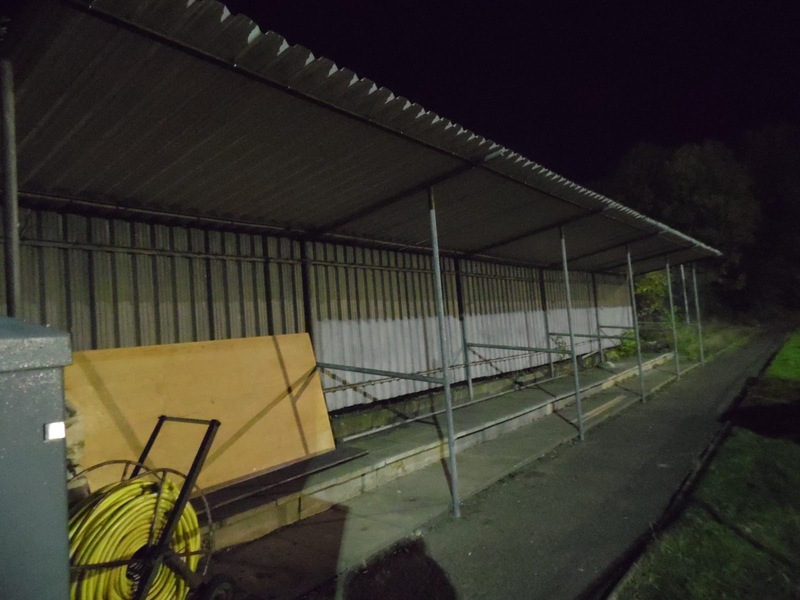 The other is behind the goal, a covered terrace for around 200, although this is set a fair way back from the pitch. The rest of the ground is open. Inside the ground is a committee room which has basic drinks, although I think there's more facilities elsewhere on the site.